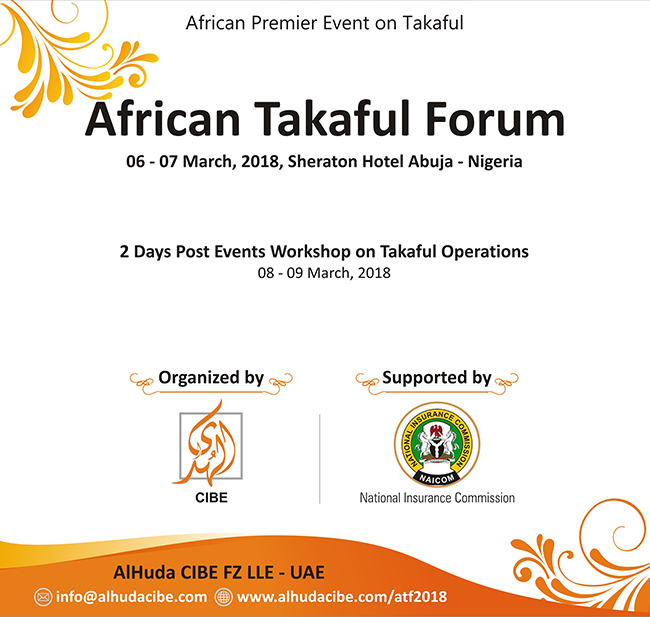 (February 08, 2018 (Dubai)): AlHuda Centre of Islamic Banking and Economics has announced African Takaful Forum on 06 – 07 March, 2018 in Abuja – Nigeria. This mega forum is supported by National Insurance Commission (NAICOM) Nigeria. The objective of the event is to provide adequate knowledge and benefits of Takaful industry to the relevant market. The platform will help analyzing the problems hindering rapid development of Takaful in Nigeria that would surely help increasing financial inclusion. It will be the ideal opportunity for international collaborations/partnerships with Takaful industry that will attract international investors in the country. 2 Days Post Event Workshop on Takaful Operations is also planned on 08 – 09 March, 2018. The event will conclude on the disbursement of African Takaful Awards. Contact us to know more about its categories and eligibility criteria. Muhammad Zubair Mughal, CEO, AlHuda Centre of Islamic Banking and Economics (CIBE) said that he is expecting tremendous audience from not only Nigeria but also from the neighboring countries. He is delighted to invite highly distinguished speakers and policy advisors to bring forth exceptionally handful of ideas to implement Takaful as a substitute to conventional insurance for the poverty alleviation of the under developing countries. He further added that he would love to welcome all African insurance industry including commissions, regulators, central banks, banking sectors, Takaful, composite, general, life, re-takaful, reinsurance, brokers and actuaries to come up in order to pass a resolution for the sake of the inhabitants of the African countries. Level of delegates are highly distinguished board of directors, presidents, governors of central banks, associations, regulators, CEOs, commissioners, CFOs, secretary generals, managers, technical advisors, consultants, insurance professionals and students. He further motivated the African industry players to play their role in the development of Takaful industry in African region especially in Nigeria. As Takaful is the only solution to the poverty of the region. We are quite hopeful that more companies would join hands with us as there would be ample marketing opportunities during the event. The Takaful industry is an emerging trend in the country and there is a great room for numerous Takaful, re-takaful, actuaries, brokers and IT solution providers and many others to explore the untapped market under one umbrella. AlHuda Center of Islamic Banking & Economics (CIBE) is working dedicatedly for the promotion of Islamic banking, finance and Islamic microfinance by offering Trainings, Awareness Workshops, Product Development, Advisory, and Consultancy. Takaful Consultancy Wing is a dedicated department to ensure ready availability of Takaful (Islamic Insurance) products and services with prudent practices around the globe. About AlHuda CIBE: AlHuda Center of Islamic Banking and Economics (CIBE) is a well-recognized name in Islamic banking and finance industry for research and provide state-of-the-art Advisory Consultancy and Education through various well-recognized modes viz. 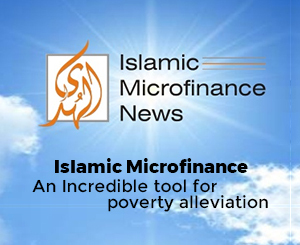 Islamic Financial Product Development, Shariah Advisory, Trainings Workshops, and Islamic Microfinance and Takaful Consultancies etc. side by side through our distinguished, generally acceptable and known Publications in Islamic Banking and Finance.